Everyone's heard of Thanksgiving. Pilgrims & Indians, turkey, yada-yada. While the holiday stands as a wonderful sentiment, a day to give thanks to everything we have, there's another holiday that has all but been forgotten. November 25th was the holiday Evacuation Day, a day for America's original patriots. 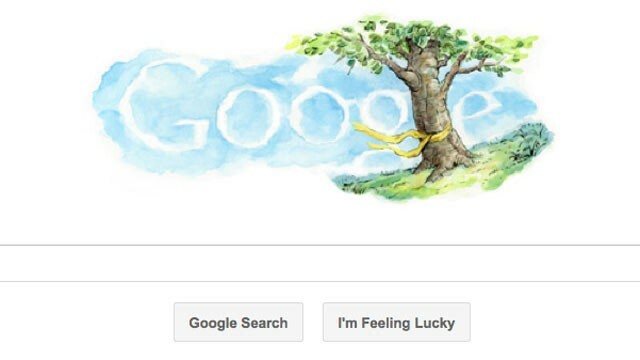 As Veterans Day passes, Google noted it as is does with most holidays: with one of its "doodles." But, in the coming weeks and days, it'll go a little further than just a passing reference to our veterans. Google is launching Google for Veterans, a resource for veterans and their families to use to adjust to military life and then back again to the civilian sphere. Veterans Day is a holiday that goes all the way back to WWI. The Great War ended "the eleventh hour of the eleventh day of the eleventh month," the holiday was created to remember the cost of war and need of peace. Originally called Armistice Day, it was changed to Veterans Day in 1954 to include those who fought in all wars. Celebrated throughout the world as Armistice Day or Remembrance Day, this is a day to thank all who fought and to appreciate the sacrifice our warriors must make to protect us. As time progresses, it is easy to forget our roots and to just accept wartime feelings. But we must always remember and respect the courage it takes to fight for your country. Many of us have family, friends, and other loved ones who have or still do serve in the US Military. While we might not always agree with wars going on or the politics behind certain things, we must always support our troops. They don't fight for Obama or Bush or anyone else in the government. They fight for you. They fight for America. Please take one moment today to think about the hardships and bravery of our military. If you have the opportunity, thank a member of the armed forces for their service. Donate or volunteer for a veterans' organization. Show you still care about and support them after all this time. Bless America and Bless our Veterans! Many of you may already know the origin story of Healing Heroes Network. Dr. Allan Spiegel was a neurologist who would often see veterans coming to him as patients with Traumatic Brain Injuries (TBI). Witnessing these brave men and women returning from war, sometimes grievously wounded, he knew it was his duty as a patriotic citizen to do what he could for them. As a neurologist with a specialty in Hyperbaric Oxygen Therapy (HBOT), Dr. Spiegel was in a unique position to help these people with TBIs utilize his equipment and knowledge to try to return to the quality of life they had enjoyed before going to war. And Dr. Spiegel did this all free of cost. Dr. Allan Spiegel receives the "Commandant's Award for Excellence"
from National Commandant of the MCL, Vic Voltaggio. From this idea to provide medical treatments free to military personnel returning from Iraq and Afghanistan, Healing Heroes Network was born. It is a lofty goal, to provide financial assistance for the wounded warriors returning from tours after September 11, 2001, but Dr. Spiegel and the Healing Heroes Network are dedicated to the task. Recently, Dr. Spiegel was commended for this valiant effort by the Commandant of the Marine Corps League (MCL).